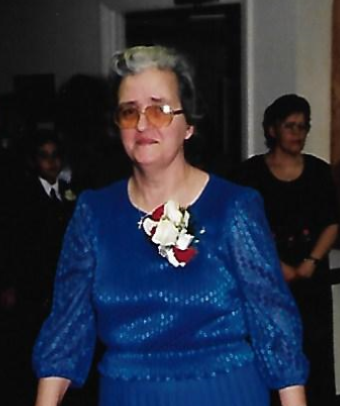 Obituary for ReMona (Fry) Wilson | Lochstampfor Funeral Home, Inc.
ReMona Wilson, 70, of Landisburg, PA passed away Friday, June 8th, at Cumberland Crossings, Carlisle, PA.
ReMona was born in Perry County, Pennsylvania on May 4, 1948, and is the daughter of Annie and Jim Fry, of Newport. She graduated from West Perry High School class of 1966. She was the wife of the late Jay Kenneth Wilson who died on April 2, 2014. She was employed at Pebbs Sewing Company, Ickesburg, PA,until her retirement. ReMona was a member of the Square Dancer Callers Association. ReMona is survived by five sons Bryon, husband of Lorie Cramer, of Newport, PA; James, husband of Jen Cramer, of Ickesburg, PA; Jeffery, husband of Jennifer Cramer, of Shermans Dale, PA; Charles Cramer and his partner David Knoebel of North Carolina; Jay Wilson, Jr., of Landisburg, PA; a sister, Alice Rebecca Stone, of Buckwheat, PA.; a brother, Wesley Fry, of Newport, PA; 8 grandchildren and 3 great grandchildren. A Memorial Service will be held at 7 P.M. at the Nickel-Lochstampfor Family Funeral Home Thursday June 21,2018.